As the risk of having more cash on-hand grows and the pressure to automate cash-handling processes rises, financial institutions are looking for solutions that streamline their day-to-day business. ATM Cash Forecasting with a professional cash management partner is one of the trending ways they are achieving optimum cash flow and accuracy. We chatted with two Loomis experts, Suzanne Bailey, National CMS Product Manager, and Robert Lynch, Senior VP of National Financial Business Development, to get an insiders’ perspective. Loomis’ ATM cash forecasting solutions are part of their comprehensive Managed Cash Services offering tailored towards financial institutions, and they maintain a national network of more than 90,000 customer ATMs. Q: The term “cash forecasting” is becoming more commonly used. What does it mean, specifically to ATM services? Suzanne: ATM Cash Forecasting is the process of using advanced data to look at the system and determine the amount of cash a financial institution needs in order to reduce the amount of residuals that come back to the cash management provider. We look at each financial institution’s history of usage and determine from algorithms how to optimize their cash flow. Robert: Without a forecasting service in place, financial institutions face a lot of potential issues. Cash-outs impact their customers, and overstocks tie up cash that could be used for other initiatives or loaned out to provide profit for their operations. 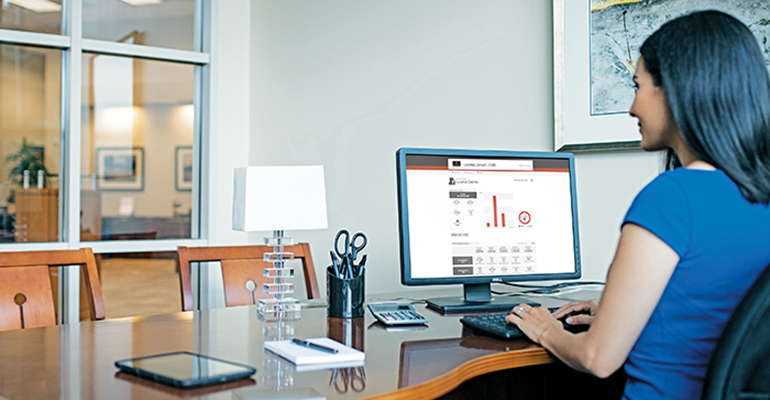 Cash forecasting helps financial institutions avoid these downfalls. Q: What would you say to potential customers looking to switch from manual cash management to a professional solution? R: I would say that the right cash management partner can provide answers to eliminate the manual guesswork of managing cash levels and automate the inventory of cash in their ATMs. Robust forecasting solutions can also free up staff to be redeployed to other essential areas of a financial institution’s key initiatives. S: The right cash management partner will also have a high level of involvement. For example, with Loomis’ forecasting services, we take full responsibility for a financial institution’s cash needs—so everything from transportation, analyzing the levels needed, and maintaining the service. Q: How do you tailor cash management solutions to suit financial institutions of different sizes and cash volumes? Q: Is the future of cash management all in automation, or is it more complex than that? S: I think automation is always key, because it lessens the risk of error compared to manual processes. With forecasting, automation is great, but you also still have to keep that human element in there. Someone who can oversee the process and spot things that a system won’t automatically know to enter. R: I second that; the key is to allow data to forecast levels of cash but still have the human touch which allows consideration for variables that an automated process can’t do. Q: What are the top benefits to financial institutions who switch to a professional cash management solution? S: Overall, it allows financial institutions to focus on building relationships, reduce risk, reduce overhead costs, and improve their operational efficiency. 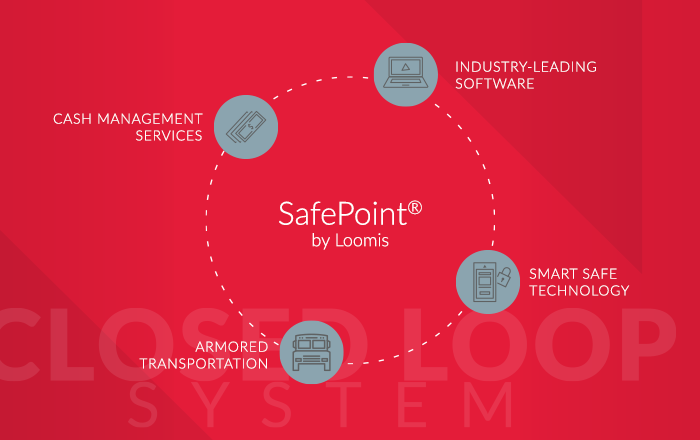 Q: How are Loomis solutions keeping up with shifting technology and preparing for the future? S: We know the value of technology, and when we look at our technology, we look at how it all works together to advance our other systems. We’re not just trying to keep up. We’re always looking at the technology that puts us ahead. R: We are investing and will continue to invest in the technology, quality, and people to ensure we’re taking advantage of new developments in each area for our customers. Learn more about Loomis’ ATM cash forecasting services.